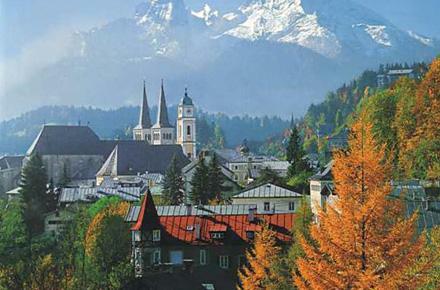 For this tour we leave the city of Salzburg via its longest alley “Moosstrasse” which is part of a nature reserve. The oldest trees are estimated to be 270 years old; many of them are between 100 and 250. Farmhouses along Moosstrasse and the street itself are some of the best preserved samples of rural architecture in late Baroque. With a view of the mountain Untersberg always ahead of us for some kilometers we cross the Austrian/German border and enter the Berchtesgaden Nationalpark. 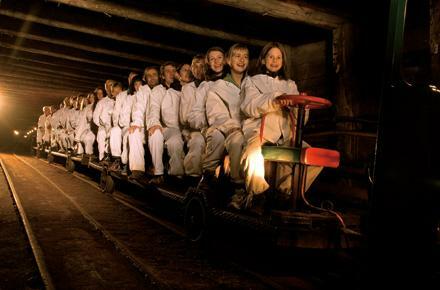 After a picturesque valley along the stream Königsseeache we get to our first destination, the Berchtesgaden salt mine. 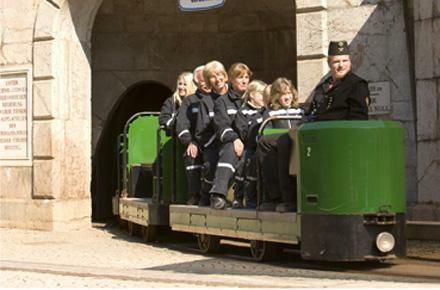 You will be welcomed by a miner with the traditional “Glück auf”. 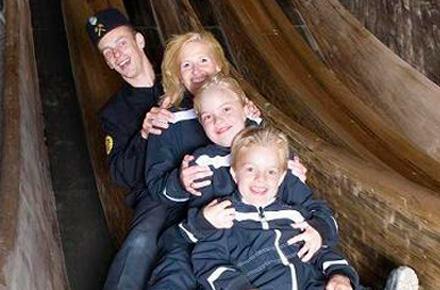 After donning overalls to protect your cloths your adventure will start. 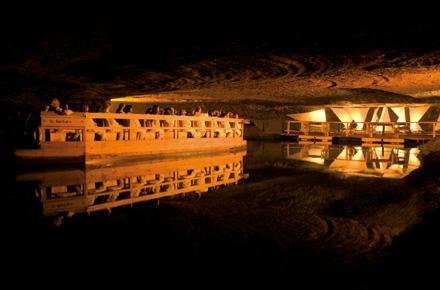 Enjoy this journey into the depths of the mountain and back in history. 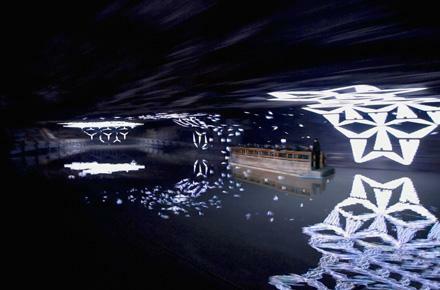 Marvel at the tunnel system and the art of mining. 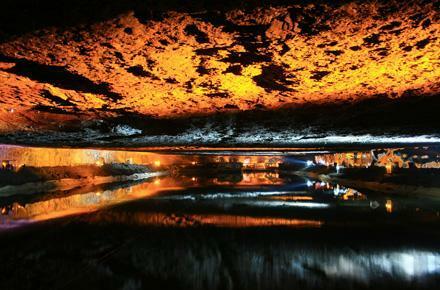 A highlight will be the raft trip across the subterranean saline lake. 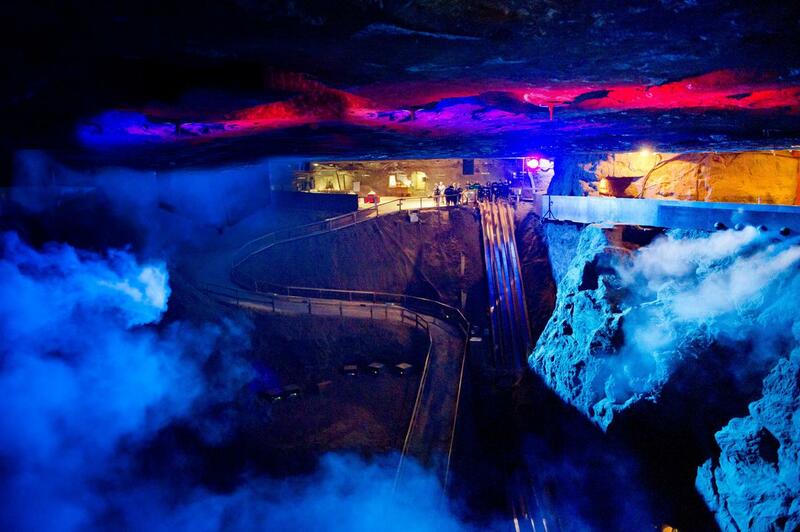 Please note that the temperature in the salt mine will be app. 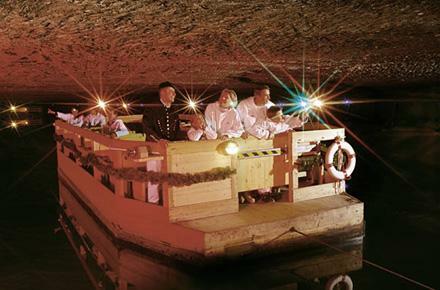 10° C.
On an electric-powered boat you will leave the noisy and busy everyday life behind and enjoy Germany’s deepest and cleanest lake, the Jewel of the Bavarian Alps. This emerald-green, fjord-like lake is towered by the steep walls of rock of the mountain Watzmann up to 1800m and has a depth of up to 190m. 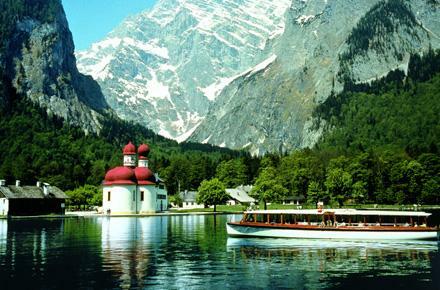 On a small romantic peninsula is the landmark of King’s Lake, the ancient Augustine chapel St. Bartholomew. For its uniqueness and beauty St. Bartholomew is world famous and very popular with artists. There is no other way to there but by boat because of the unique landscape and it is the reason for another special feature: The fascinating King’s lake echo. At the traditional restaurant there you can have some refreshments before we go back to Salzburg.